There are few creatures out here in the land of the sticks where I call home that strike fear into my heart like no other. 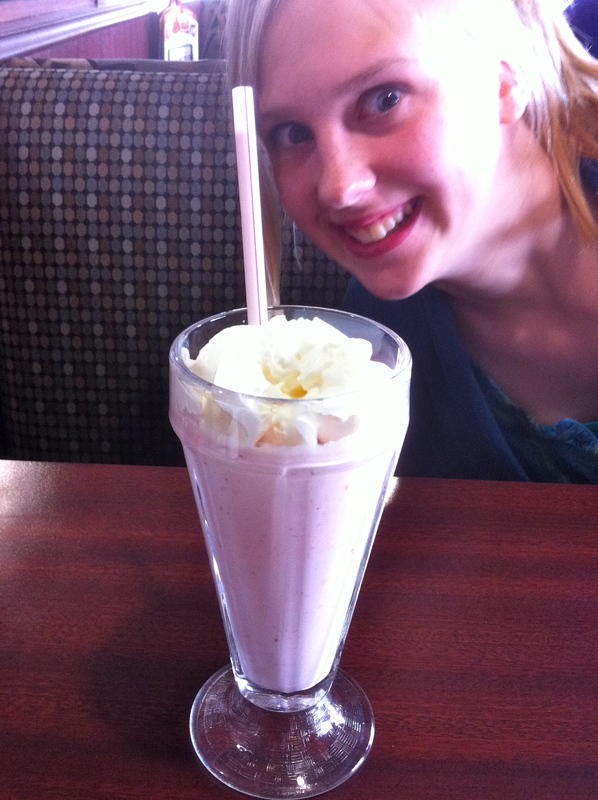 The scariest of course, is the creature commonly referred to as the 'teenager.' This particular animal is most fearsome first thing in the morning when it stumbles out of it's den with bed head and morning breath so vile it can literally strip paint. Prone to either excessive personal grooming or a complete absence of any personal hygiene (they never just fall in the middle; you're either assaulted by body odour and greasy hair or choked out by the cloying scent of cheap body spray and an overabundance of blue eyeliner) the teenager will empty your pantry in less time than it takes to blink. Teenagers enjoy marking their territory with flatulence and eye rolling. A trail of empty milk jugs and candy wrappers usually follows in their wake. One must never leave sweets unattended in the presence of a teenage creature. It encourages delinquency. If a particularly feral teenager crosses your path one must be sure to never let it assume dominance over you. The best course of action is to puff up your chest, look them dead in the eye and threaten to withhold all electronic privileges until the teen creature becomes passive. If that doesn't work, threatening to cut off all toilet paper supplies generally does the trick. 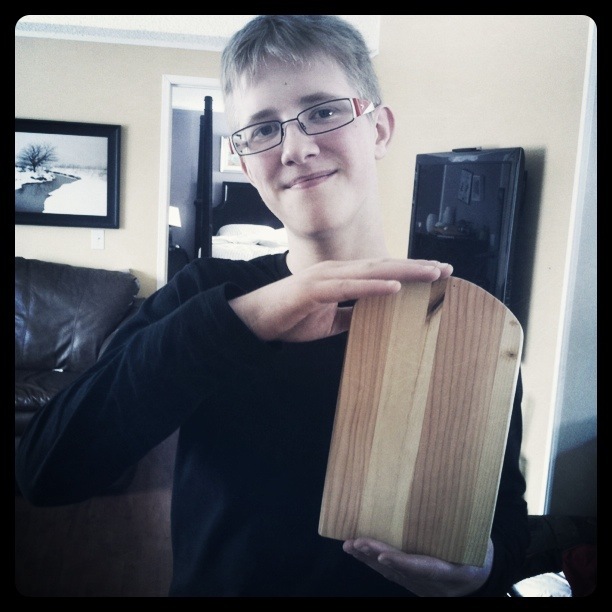 Occasionally a teenager will attempt to lure you into a false sense of security with handcrafted cutting boards and other assorted gifts made in shop class. Never succumb to the bribery. While the teenager is a particularly surly creature faced on a daily basis, up here in the sticks of the northern nowhereville, there is one lesser-known creature that can strike fear into the hearts of churlish teens everywhere. Commonly referred to as the skunk, this cat-like animal currently lives under the bedroom window of a particularly cranky teenager. The skunk, sensing the malodor of the teen creature feels quite at home, picking through the improperly secured trash bags the teen has lazily dragged outside. When the skunk isn't scattering trash across the front lawn of an innocent homeowner, it likes to hide underneath the front deck, waiting for an opportune time to strike. The teen, sensing the proximity of the scary skunk creature, will yelp in fear, hide in it's bedroom and threaten to never come out of it's den unless the skunk has been relocated. The skunk, noticing the teen has scattered pet food at random on the deck instead of carefully pouring the kibble into a proper receptacle will be lured to the front door where it will lift it's tail and release it's pungent odor, spraying everything in it's path, including the teen's new expensive sneakers which were thoughtlessly left out on the deck, as well as the family dog. If one discovers a skunk on the premises one must beg, cajole, nag and whine until one's husband has it removed. The consequences are too smelly otherwise. At this point, the teenager will become highly irritable as the fragrant skunk odor seeps into every area of the house and is completely inescapable. When the teen notices their shoes are ruined and the dog is contaminated, doors may be slammed and loud music may be played in an effort to drown out any pleas of help a parent may ask for. One must hold firm in demanding the teen's assistance in dealing with the skunk debacle and if the music is not turned down one can always let the smelly family pet into the house, open the teen's bedroom door, encourage the dog to roll around in the teen's bedding and then wait for the teen to flee their now invaded and heavily scented space. 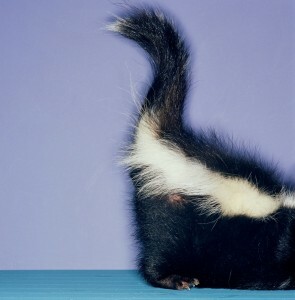 There are remarkable similarities between two of Nature's smelliest creatures, the skunk and the teenager. Both animals can make your tears water and your nose drip with its pungent fragrance. Both creatures live in dark little dens, surrounded by its own filth. Both will willingly consume whatever trash you put in front of it, although one more literally than the other. Neither animal can be tamed. If one crosses paths with either fearsome strange animal the wisest course of action is to avoid direct eye contact and avoid startling the animal. Move slowly and cautiously away until one is out of the danger zone. In the event of an attacking teenager, tossing iTunes cards at them generally will satisfy their carnal urges and keep you physically safe. In the event of a skunk attack, avoid the tomato juice and head straight to the lemon juice, vinegar, baking soda and dish soap. Also handy is a husband who only moments earlier walked in the door after being absent for almost two straight months as he can hold the family pet down while you scrub it and keep the teenager on a short leash as it loses it's mind from having skunk-sprayed sneakers. It can be a dangerous place living in the middle of nowhere, surrounded by wildlife, but with these handy tips your world can be made a little safer and a little less smelly. In the next edition of Surviving the Great White North: The hidden dangers of lurking porcupine, moose and beaver. They aren't as innocent as cartoonists would have you believe.